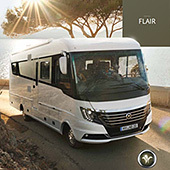 Download the latest brochures from the leading motorhome manufacturers like Hymer and Niesmann + Bischoff. 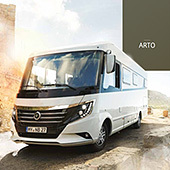 Download the Carado Motorhomes 2018 Specifications brochure. Download the Carado Vlow Campervan 2018 Specification brochure. Download the Carado Parts and Accessories 2018 Brochure brochure. Download the Hymercar 2018 Brochure brochure. Download the Hymer B Class SL 2018 Brochure brochure. Download the Niesmann + Bischoff Flair Security 2018 Brochure brochure. Download the Niesmann + Bischoff Smove 2018 Brochure brochure. Download the ERIBA Touring UK 2018 Brochure brochure. Download the ERIBA Touring 60 Edition Brochure brochure. Download the HYMER Caravans 2018 Brochure brochure. Download the ERIBA Touring Rockabilly / Ocean Drive Brochure brochure. Download the ERIBA Nova GL / Exciting 60 years edition Brochure brochure. Download the Carado Vlow Camper Van 2018 Brochure brochure. Download the Niesmann + Bischoff Arto Specification brochure. Download the Niesmann + Bischoff Flair Specification brochure. Download the Niesmann + Bischoff Smove Specification brochure. Download the Dethleffs 2018 Specification brochure. Download the ERIBA Touring 60 Edition Specification brochure. Download the ERIBA 2018 Touring Specification brochure. Download the Niesmann + Bischoff Flair Brochure brochure. Download the Niesmann + Bischoff Arto Brochure brochure. Download the Niesmann + Bischoff Smove Brochure brochure. Download the ERIBA Nova GL Specification brochure. Download the 2018 Goldschmitt Product Overview Brochure brochure. Download the 2017 Goldschmitt Brochure brochure. Download the Eriba Caravans 2017 Brochure brochure. Download the Hymer Motorhomes 2017 Brochure brochure. Download the Hymer 60th Edition Brochure 2017 brochure. Download the Neismann + Bischoff Smove 2017 Brochure brochure. Download the Niesmann + Bischoff 2017 Flair Brochure brochure. Download the Hymer Van / Van S Brochure 2017 brochure. Download the Eriba Touring 2017 Brochure brochure. 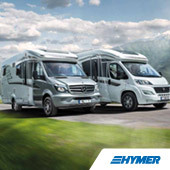 Why not see for yourself and discover the advantages of Hymer's B Class Premium Line range of models. This brochure will help you do just that. 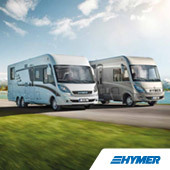 Download the Hymer Motorhomes 2016 Brochure brochure.